With economic development, transportation is also convenient, and all kinds of vehicles are becoming more and more popular. Among them, the convenient transportation vehicle is popular. Because of car parts processing is highly precision and rigor, the application of the Roller Burnishing Tool solves the problem of rough machining of aluminum alloy and provides a good guarantee for the processing of aluminum alloy parts. Roller Burnishing Tools process is to improve the surface roughness of part machining by rolling, suitable for batch processing. 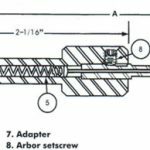 Using this method you need to buy a rolling tool and then install it on a bench drill or a rocker drill. The roller surface roughness can reach about Ra0.2, and the machining dimension can be adjusted within a certain range to achieve the compensation after tool wear. The Roller Burnishing Tools have the characteristics of simple operation, and the workers can take the post with simple training. The inner hole roughness can be improved from Ra3.2 to Ra0.2-0.4 one time, and the dimensional accuracy can reach about 0.01, and the consistency of batch processing is good. The rolling tool can be used in machine tools such as car, boring, drilling, milling and machining center, which is superior to conventional machining in aluminum alloy processing. Under normal conditions, thousands of workpieces can be processed. In the case of serious wear and tear on the rolling part, the vulnerable parts can be replaced. Therefore, on the surface of aluminum alloy parts, Roller Burnishing Tools is more suitable to improve the surface finish. 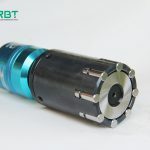 The successful application of RBT rolling tool in various types of pipes is highly praised by users. It has laid a solid foundation for the customers of the auto parts factory to occupy the market. At the same time, it also provides a favorable guarantee for our customers to further develop new auto parts market. The application of ID Roller Burnishing Tools can solve the problem of inner hole finish machining, and has made new progress in processing quality, also, it saves a lot of cutting tools. 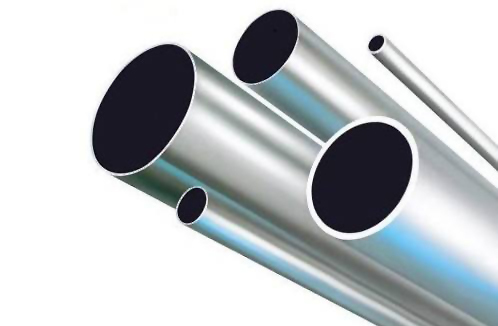 In the era of extensive metal application, this kind of environmental protection has no cutting, no waste material processing tool is undoubtedly the demand of the times.